In the 2017-2019 edition of the Global Aviation Safety Plan (GASP), ICAO identifies a number of high-risk accident categories which are listed as global safety priorities. There are three accident categories that account for more than 60 per cent of worldwide fatalities. Of these three categories, controlled flight into terrain (CFIT) is identified as being responsible for nearly a quarter of all worldwide fatalities, despite representing only 3 per cent of the number of accidents. CFIT occurs when an otherwise completely serviceable (airworthy) aircraft, while under control of the pilot, is flown into the ground, into water, or into an obstacle. The majority of such accidents occur in the landing phase of flight. Many of these are due to the incorrect reading of instruments or a loss of situational awareness – the understanding a pilot has about where the aircraft is, what it is doing and what the surroundings are. 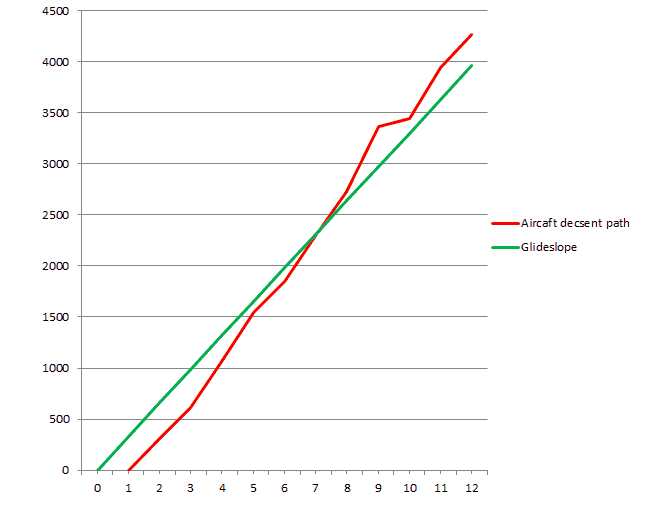 A typical example of CFIT in the landing stage is represented in the following figure, which indicates where the correct descent path (glideslope) is, and where the aircraft was mistakenly flown, resulting in a crash short of the intended landing runway. Though CFIT has always been a major cause of accidents, in the late 1960’s a high number of such accidents resulted in hundreds of fatalities, leading to a study to determine the causes and possible ways of preventing these type of events. This study determined that a warning of the approaching terrain would have provided sufficient indication to the pilot to allow them to take avoiding action, and that a majority of such accidents could therefore be avoided. Canadian engineer Donald Bateman is credited with the development of the first ‘Ground Proximity Warning System’ (GPWS). Warnings are provided by means of a light on the instrument panel in the primary field of view of the pilot, and a characteristic warning sound (whoop whoop), along with a spoken annunciation of the trigger. As an example, a high rate of closure with the ground (mode 2) would generate a warning light and the aural warning ‘whoop whoop, PULL UP, PULL UP’. Regular training for pilots in simulator sessions reinforces the correct response to a GPWS warning, allowing for it to become instinctive. ICAO mandated the use of GPWS systems (also referred to as Terrain Awareness and Warning System or TAWS) on commercial aircraft produced after 1 July 1979, with a take-off mass in excess of 15 000 Kg or authorized to carry more than 30 passengers. Over time the requirements for the carriage of GPWS have steadily improved, and this equipment is now required for all commercial aircraft over 5700 Kg, or authorized to carry more than nine passengers. From the 1980’s, the introduction of third generation aircraft – which incorporated electronic cockpit displays, improved navigation systems and warning systems such as GPWS – is credited with a significant reduction in the CFIT accident rate. With almost 99% of all flights now operated with aircraft equipped with some form of terrain warning system, the CFIT accident rate has reduced by a factor of seven from 1998[i]. Despite the success of GPWS in reducing CFIT accidents, the original system had some weaknesses. One particular issue was the identification of risk for rapidly rising terrain. 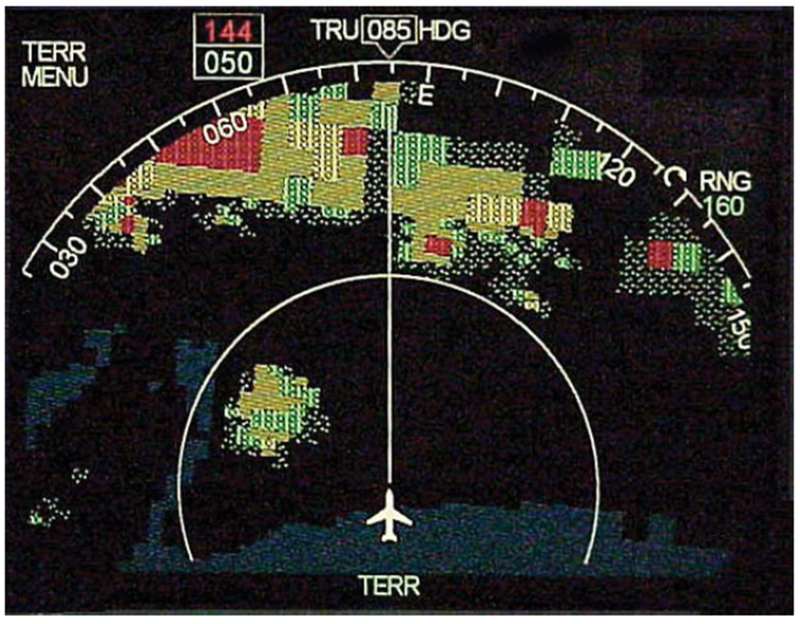 Since the GPWS system used radio altimeters to determine the rate of closure with the ground, approaching a sharply rising area of terrain would not generate sufficient warning for reaction by the pilot. The system was not capable of ‘looking ahead’ to identify potential risks on the aircraft flight path. The solution was to introduce, in the 1990’s, an Enhanced Ground Proximity Warning System (EGPWS) which included a terrain and obstacle database. Using information about the aircraft position, altitude and speed, it is possible to determine the projected flight path of the aircraft and analyse whether this will result in infringement of any of the EGPWS warning parameters. This allows for warnings to be given to the pilot at around 60 seconds before any potential terrain event, providing sufficient time for recovery action. Additionally, the terrain data can be displayed on the pilots navigation display to assist with their situational awareness of terrain in the immediate surroundings. ICAO, through the GPWS Standards in Annex 6, mandates that all aircraft over 5700 Kgs carry GPWS systems that include a forward-looking terrain avoidance function such as EGPWS. These Standards continue to be reviewed and updated in the ongoing effort to eliminate CFIT as a source of accidents. Ian Knowles is a Technical Officer in the Operational Safety Section of the Air Navigation Bureau, where he acts as Secretary for the Flight Operations Panel and the Performance-based Navigation Study Group. 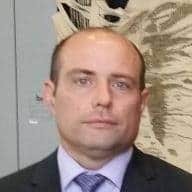 Prior to joining ICAO, he worked for as a commercial pilot for a major airline, operating Boeing 757, 767 and the Airbus A320 family of aircraft. He also holds a Master’s degree in Operational Research and has experience in applying the principles of OR in an airline environment.